This pulp is sweetened. But it is so good, I could eat it with a spoon and call it dessert. I picked up a couple of cans. One was used for milkshakes and smoothies and one was in the pantry. 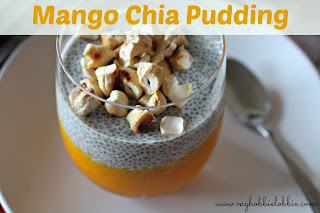 I ended up using this pulp for the chia pudding. And since this was sweetened, I didn't add any sweetener to the milk. However, if you aren't using a sweetened pulp, you will need to add either honey or dates or sugar; basically any sweetener of your choice. Also, please note that the quantities mentioned below can be adjusted to suit your preference. These are perfect for make ahead options. You can make them the previous day and have them ready to go in the morning. You could also set these in travel containers to take your breakfast to work. 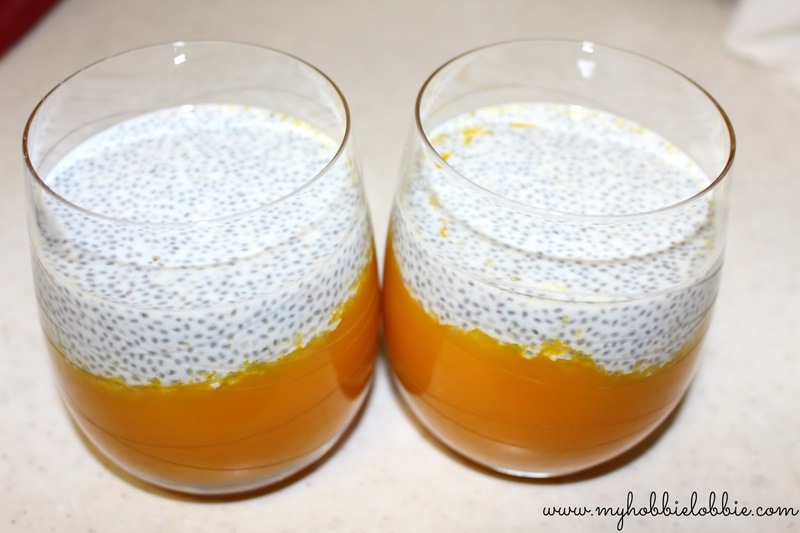 All you need to make now is the chia pudding, which is as simple as stirring the chia seeds into the milk. That's it. I stuck with the whole Goa inspired flavours and topping the puddings with some toasted cashew nuts. It was pretty spectacular - perfect for summer. 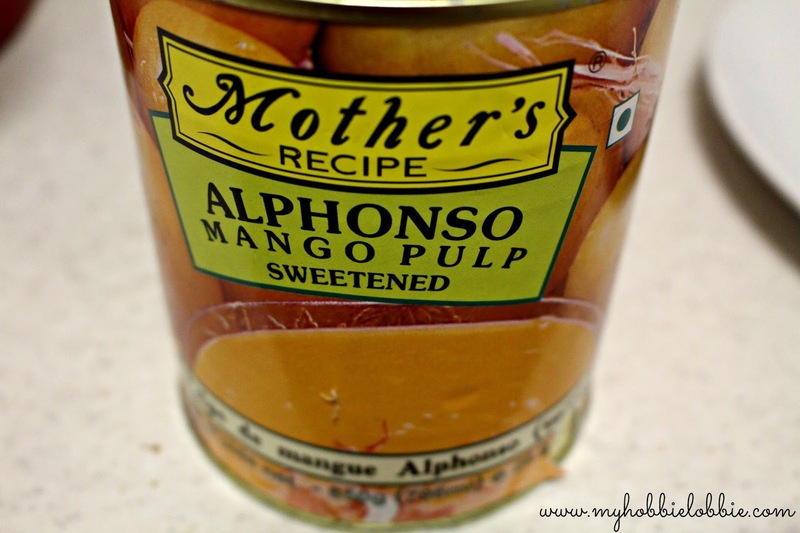 I can wait to find some more of these cans of mango pulp now. 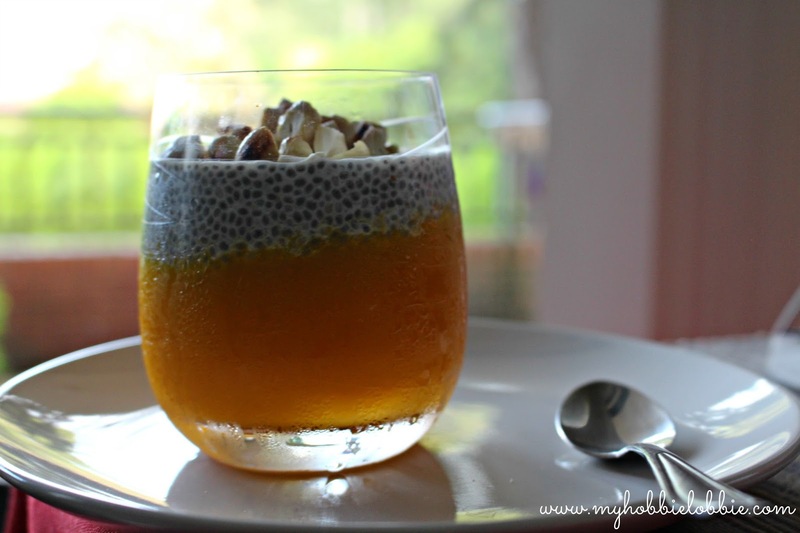 Have you tried chia puddings before? What's your favourite combination? Leave me a comment and let me know, I'm eager to try out different variations. In 2 glasses, pour the mango pulp. I filled about 1/3 of the glass with the mango pulp, careful to not let the mango drip down the sides of the glass. In a seperate bowl, combine the chia seeds, milk and vanilla and stir for about 3-4 minutes constantly, till it becomes a thick pudding. Let it stand for about 5 minutes to set. 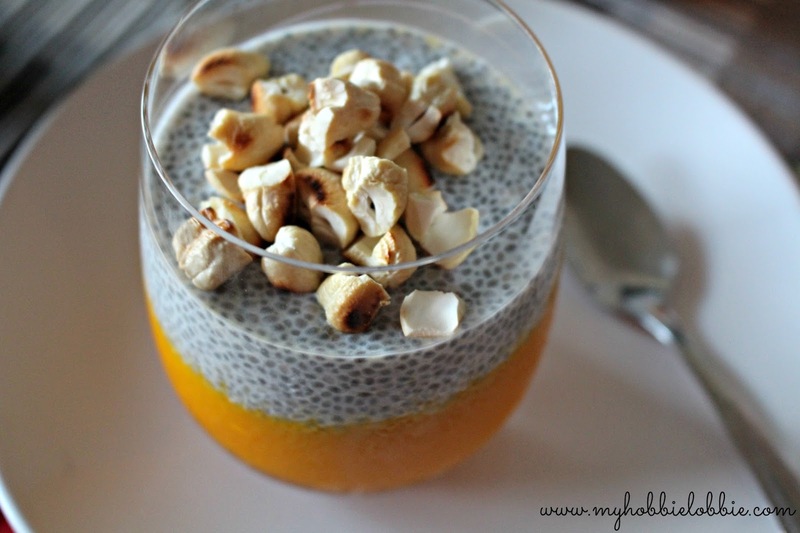 Pour the chia pudding over the mango pulp carefully, in a steady stream. Cover the glasses with cling film and refrigerate for atleast 4 hours or overnight. When you're ready to serve, top with some chopped up toasted cashewnuts. Thank you Carol, it really is.